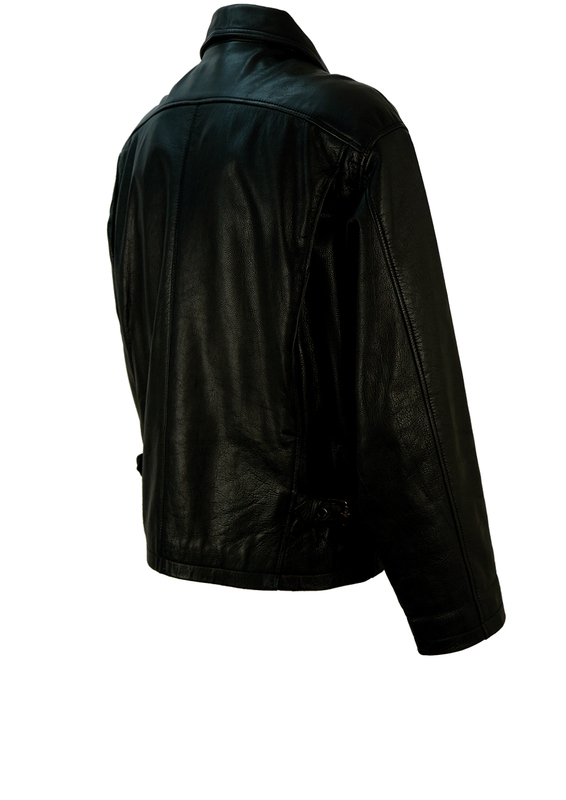 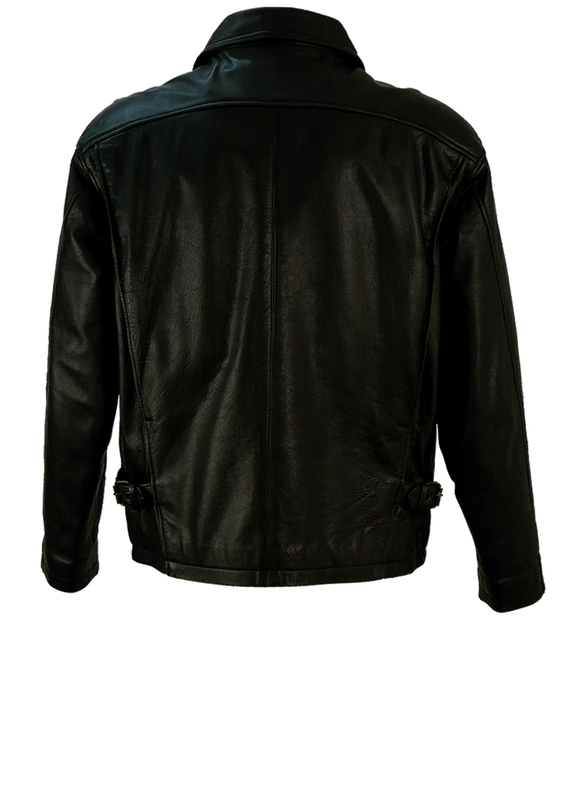 Vintage 90’s black leather jacket with distinctive silver buttons that have a slightly raised checkered pattern on them. 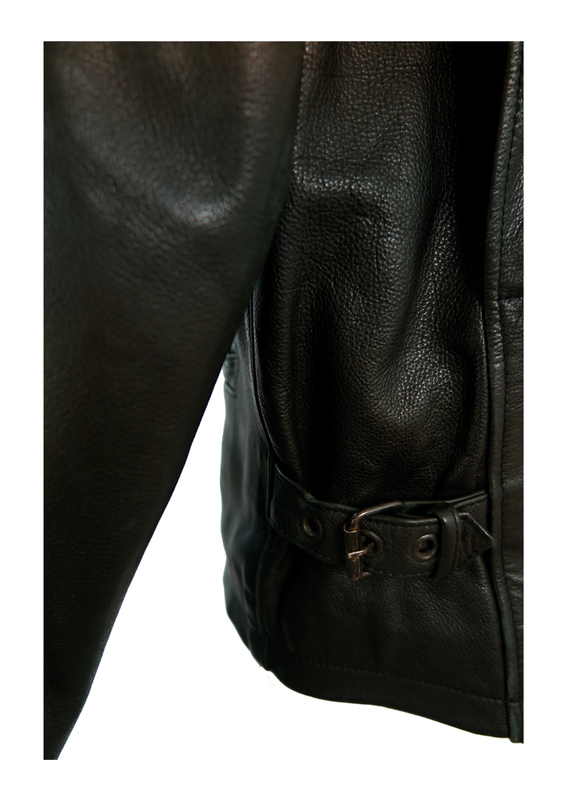 The jacket has a classic 90’s box-like shape to it with side buckles that can make the width smaller or larger via 3 buckle settings. 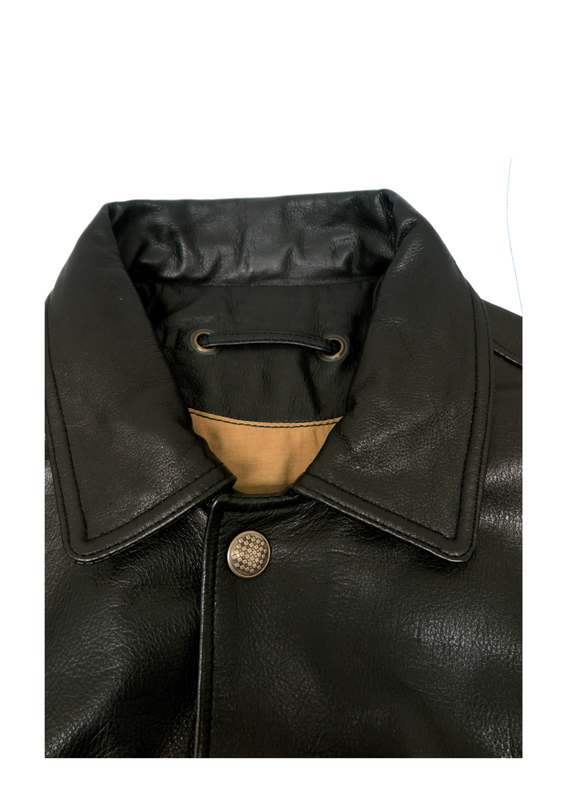 Other design features include 3 seam pockets at the front and an additional lining pocket on the inside. 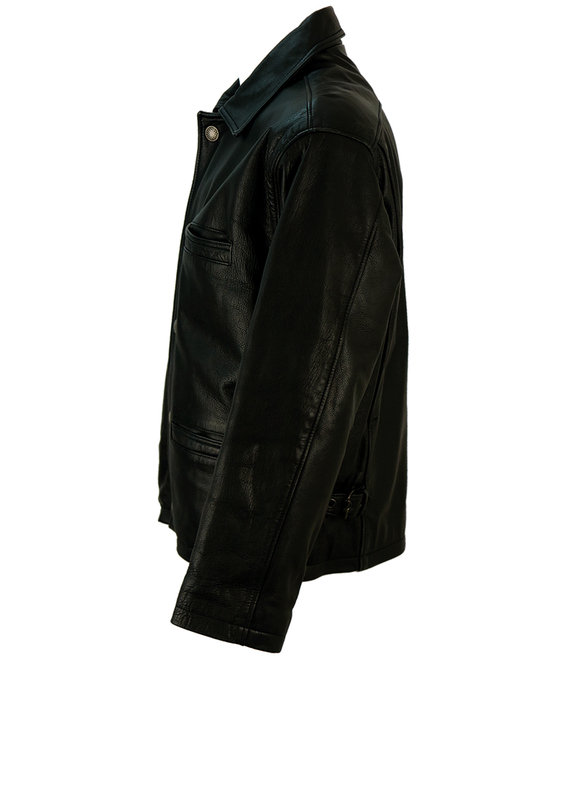 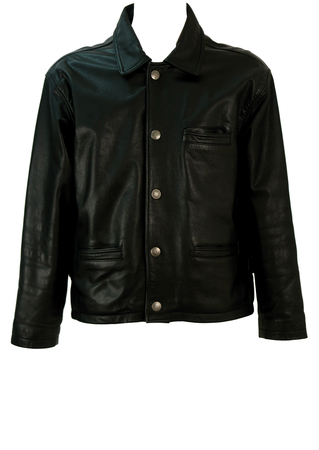 The jacket is fully lined in a cotton-like fabric and has a size M label for a slightly oversized 90’s cut. For this reason, we feel that the jacket could also be a possible size L for a slightly more fitted cut – please refer to our measurements for further sizing guidance.